Despite fierce competition from both foreign and domestic manufacturers, the 2013 Chevrolet Silverado 1500 full-size pickup continues to shine, offering a wide variety of engines and configurations, as well as the first and only full-size hybrid pickup truck. Whether it's light-duty chores or heavy-duty hauling (up to 10,700 pounds), the 2013 Chevy Silverado can get the job done right. 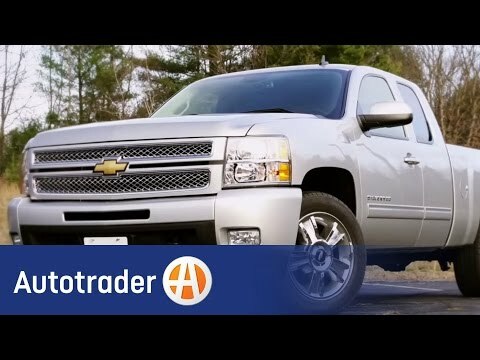 White Chevy Silverado 1500 lt crew cab interior and exterior is excellent. My Chevy Silverado is a very good and dependable vehicle. It gets the job done every time it pulls almost anything I hook up to it. As long as you keep good oil in it and keep up on maintenance the vehicle will last a very long time. The Chevy Silverado gets good gas mileage for a pickup truck. I get 21-23 mpg if I am going 50-70 mph and driving around town I get about 14-17. I am very happy with this pickup it exceeds your expectation with how well it performs and runs. I would definitely recommend this vehicle to anyone who likes dependable pickup truck. Quality of vehicle. Not what I expected for the price charged for the vehicle. Doors and tires is not working properly. There is no CD player. Not. Enough space. Has to manually lock the door and roll the windows down. Not enough room in the vehicle. Nothing like I expected. I think the price is much higher this it should be. I am paying way too much money and there's not enough features. To pay this price. I would have preferred something less expensive. I will check out everything completely next. Time before purchasing a vehicle. It has a very smooth ride. I bought the lt model and for just an extra $2400 they redid my seats in leather front and back, plus the front seats have heaters. The gas usage is not good, but I use it for a route were I stop and start about 10 times a day so that is probably why. I have had no major issues with it mechanically, but a few months ago I noticed there was a large crack on the passenger dash were one of the air bags is located so that has me a little concerned.